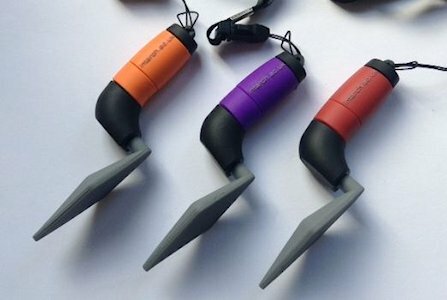 Support the Open Access Archaeology Fund- Get a Trowel USB drive! Happy Open Access Week everyone!!! There is a lot going on for Open Access Week around the world but I would like to draw your attention to one really great initiative by Internet Archaeology and the Archaeology Data Service – the Open Access Archaeology Fund. The fund will support the journal publishing and/or archiving costs for archaeologists who can’t afford it. The vast majority of archaeologists do not have access to institutional funds from Universities to support OA publishing. Some commercial work does fund publications but that is only for recent work. All those projects from the 1900s and early 2000s that are still being worked on are unlikely to be published OA unless we help out. Here is the announcement – http://intarch.ac.uk/about/donate.html different coloured USB drive by donation levels. Not sure about shipping. Contact Judith editor@intarch.ac.uk to check about shipping.